Art Intervention’s patterns, textures and colours originate from artistic expressions around the world, creating a truly global look. Art Intervention’s patterns, textures and colours originate from artistic expressions around the world. In an increasingly fragmented world, art reconnects people to one another. As a universal language and change agent, art intervenes to inspire, heal and unite. The IVC Art Collection celebrates this power with three versatile lines: Art Intervention, Art Exposure and Art Style. Inspiration comes in many forms and hues. Art Intervention’s bold Creative Spark reflects this wealth in its versatile designs. 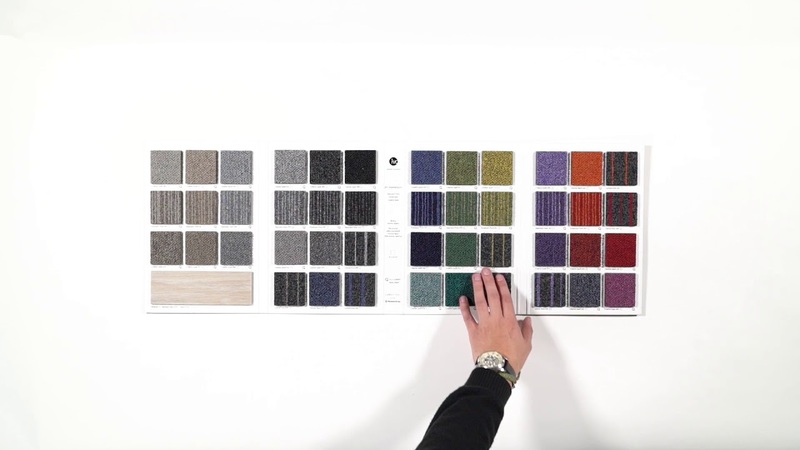 The textured and solid carpet tiles allow for a unique colour play, from feature shades to sparkling accent floors. pattern set within a neutral grey background adds energy and artistic flair to any environment. Mirroring the interconnectivity of art, Art Intervention’s Expansion Point presents a distinctive tonal striapattern embedded in a monochromatic background. Custom sample books with beautiful brochures were conceived and built for our team to tell IVC's unique story. You can always contact us to take a look at these beautiful designs.